Not long ago, I announced that I was resigning from my job. 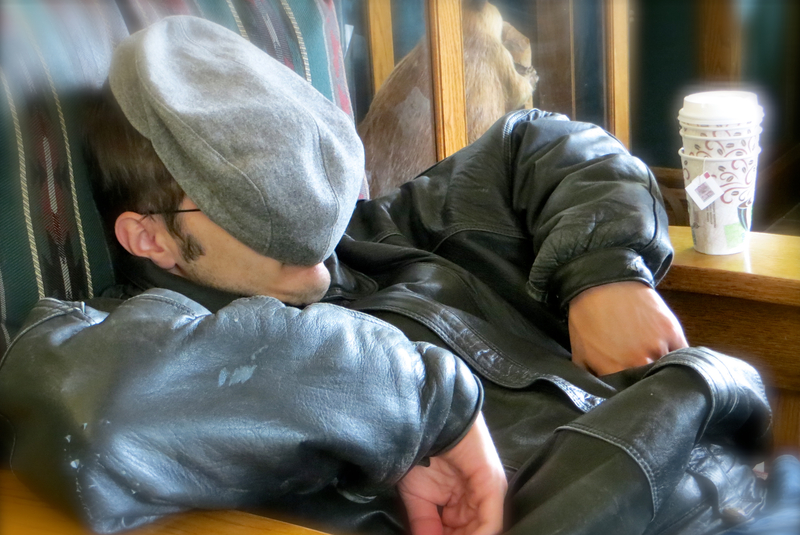 The time I spent unemployed was pleasant, relaxing, and surprisingly brief. Yes, I have rejoined the working class. You see, I occasionally have to eat, and I like having a home with walls and a roof. These things cost money. Honest work seemed preferable to begging or robbing banks, so I found employment at a local nursing home. My work consists mostly of washing dishes. As you can imagine, it’s wet work. (No, not that kind of wet work.) I’ve been on the job for just a few days, but I like it. My coworkers have been friendly, welcoming, and kind. The work itself isn’t terribly demanding; I’m even permitted to pick up a book when I run out of things to do. Employees are given free meals, and (most importantly) there is coffee in abundance. So far, I have nothing but good things to say about my employer. My job is ideal in many ways. 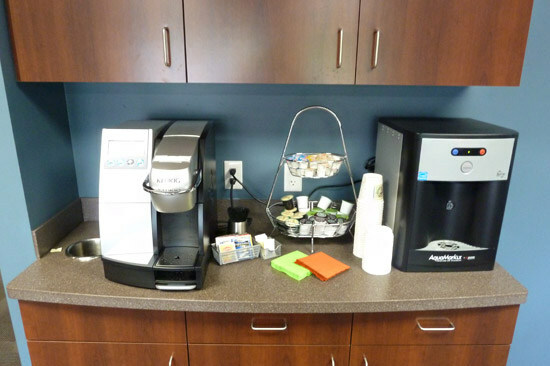 It is a truth universally acknowledged that the coffee station is by far the most important feature of any workplace. However, there is one way in which my job has disappointed me—though to be fair, my disappointment has hardly anything to do with the work itself, and nearly everything to do with me. Washing dishes is not a step forward in my career; it’s more like a step sideways. It will pay the bills, I hope, but it puts me no closer to my dream of working in writing or publishing. At the decrepit old age of twenty-five, I feel that I really ought to have settled in a career by now—or at least figured out what career I want to pursue. I feel humiliated to be working another dead-end, blue collar job. This feeling is shameful and arrogant, but I can’t help but feel it, especially when I consider how many of my peers have settled into successful careers. My work doesn’t merely wound my pride. It cuts my pride into tiny pieces, pours gasoline over those pieces, and then sets them on fire. Flipping heck, when did I get so old and bitter? My pride is in ashes. My clothes are damp with dishwater. My career is… well, it isn’t. I feel endlessly disappointed in myself, but I have decided one thing for certain. My job is a fine opportunity for me to learn humility. I’m trying hard not to be an arrogant git, enjoying the free coffee, and washing the heck out of those dishes. Honestly, I’m thankful to be working. I hope to move on eventually and figure out what the heck I’m supposed to do with my life—and until then, I mean to make the best of things. This entry was posted in Life, the Universe, and Everything and tagged depression, personal by Adam Stück. Bookmark the permalink. I always remember the difference between flotsam and jetsam because jetsam is “jetted” overboard by the crew. Flotsam is the other stuff. And you’re not the only one hoping for a sequel. Beyond Good & Evil is one of my favorite games and I’m still holding out hope. I can’t say much about your work. I’m not even in the workforce yet… But I hope you can push through and make it into your desired career. I’d love to see a sequel to Beyond Good & Evil. My opinions of the game itself are a bit mixed, but I loved its world and characters, and I’d love to see more of them. Thanks… I hope so, too. Sounds like you’ve got quite the quarter-life crisis festering. 25 is a fun time to feel all that. I’m still feeling it at 28. I’m still searching, believe me, but I’m holding onto the truth that nothing is wasted. Jobs and relationships and living situations and people and places — they’re all going into the big pot of YOU, just as mine are with me, and it’s brewing something beautiful. Can’t wait to see what the brew of you brings. Prayers! As a fervent drinker of coffee, I approve of your “brewing something in a pot” metaphor, Tom. 🙂 Thanks for chiming in as I blunder through my own quarter-life struggles! Good. That’s where your pride belongs. I’m thrilled for you. It took me until 30 to get my pride torn up like that, and that is a happy happy day. Feels like crap, having your pride demolished, but the sooner you can leave your pride at the doorstep the sooner you can give it all over to God and start living a life you never even dreamed of. One so amazing that you will wonder why the biscuit you ever held so tightly to your own stupid pride when you could have been shining a light straight back to the One who deserves it. It’s fantastic, wait until you see. When that is, of course, will be mostly up to you, deciding on how hard you want to fight letting go. How much you desire to compare yourself to your classmates instead of looking at the glory of Adam Stuck through God’s eyes, who doesn’t compare you to them. He sees you, and He loves you. No comparison needed. Here’s a nugget I discovered the other day: If you spend 10 minutes each day doing something, in one year you will have logged more than 60 hours doing that thing. You want to keep writing? Cut out an extra 10 minutes a day and get ‘er done. No excuses. No “I’m too busy” because it’s ten freaking minutes, and waking up 10 minutes earlier every day won’t kill you, I promise. Start today. Start now. Or don’t, because the choice is yours and yours alone. I will tell you, from 8 years “in the future,” that one day you will wake up and bonk yourself on the head for not just STARTING sooner. Just do it. Go. Now. Come on. If you’re waiting for an invitation this is it. If you want permission to carve out time to work towards your next book or something, here you go, you can tell them (whoever they are) that ol’ JK said it was alright. Blame me. Take the first reason for NOT just doing it and throw it out the window, because it has no place in your life. Psych yourself up like Goku from Dragonball Z and see if you can write with your hair all glowy and yellow. I will, however, take just a few more moments to thank you for your advice, JK. I’m considering it. And thanks, as always, for your support. I really, really appreciate it. I’m certainly thankful for the people and experiences in my life, and I’ll keep blundering onward. You will get there, you will figure it out. Trust me, it happens, just not the way we expect. I mean, in my case, I did things backwards. I got the job I always wanted at 19 and started out in the position of working towards my dream. In order to do that I needed college, so at 21 I started going part time and working full time. I am not 27 and will have my college degree completed by this time next year. IT’s a process in life, not always pretty getting there, but completely worth it once accomplished! I’m definitely trying to think in years, not months. As you say, it’s a process.